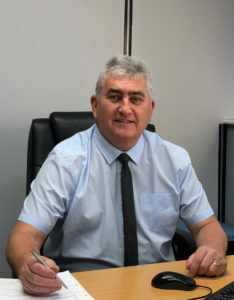 Northern Bear plc is delighted to announce that Stuart Dawson has been appointed as Managing Director of A1 Industrial Trucks Ltd.
Stuart Dawson came to A1 Industrial Trucks in August 2018 as Sales Director. He had previously managed sales for one of the UK’s largest suppliers of forklift trucks. The board of Northern Bear plc had hoped that, after a few months in the job, Stuart would be suitable for promotion to Managing Director. They were right. From small beginnings in 1983 as a service and repair business A1 Industrial Trucks has grown to become a major supplier of materials handling equipment and one of the biggest independent Mitsubishi dealers in the UK. In 2008 the company became part of the Northern Bear group.